Check out what Bot Academy student Tanay did (below). Can you spot the most important thing he did when he closed his first client? The most important part is the second part: His client agreed to pay him $1,000 per month to maintain the chatbot. That’s a $12,000 deal for the year. 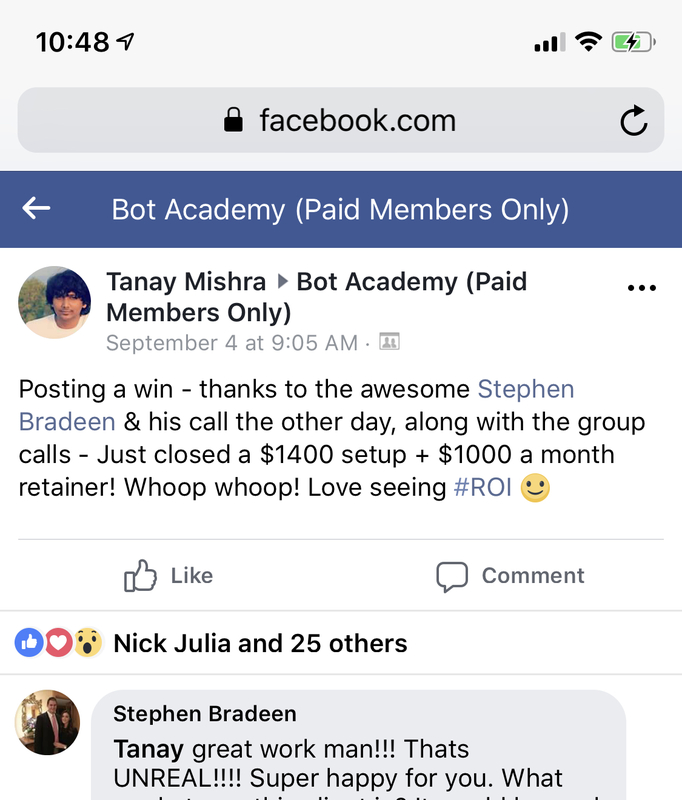 And if Tanay continues to work with this client, adding other chatbots and working together long-term, he’ll make even more. The #1 type of chatbot client is a retainer client. and sleep at night knowing you can cover your personal expenses. And if you ever want to sell your business, retainer clients give your business value. For instance, take Jason Swenk, who founded a digital agency. He grew his agency to more than $13 million in sales and then sold it. 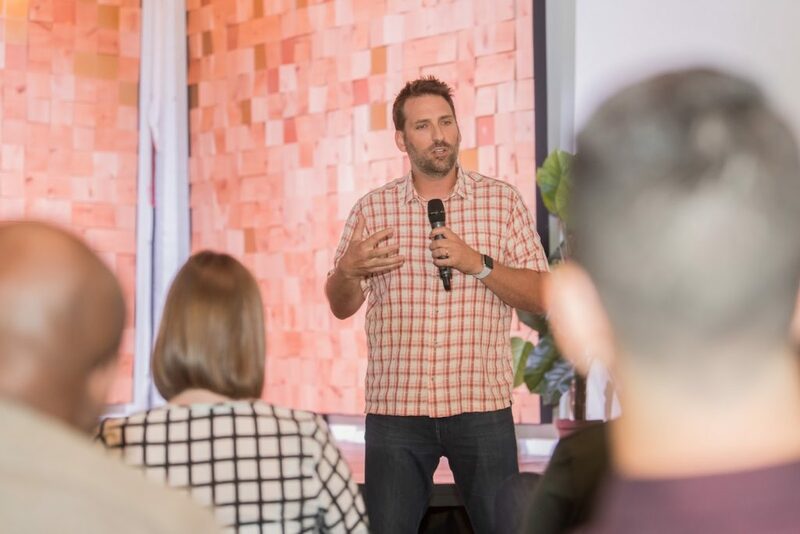 Jason spoke about selling his company at my Bot Academy event in Austin. And he said that having retainer clients was critical to selling his agency. In other words, an agency without retainer clients is just too risky to bet on. So how do you get retainer clients? First, you need to offer the right kind of service. One where a retainer deal makes sense for the client. For example, most chatbot clients actually want retainer agreements. They want you to stick around and keep growing their chatbot sales. 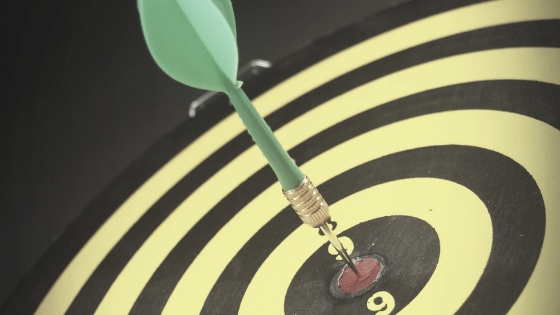 Another tip is to do what Tanay did: sell prospects on a retainer from the start, when you make the initial sale. They’re already nodding their head yes, so strike while the iron is hot!